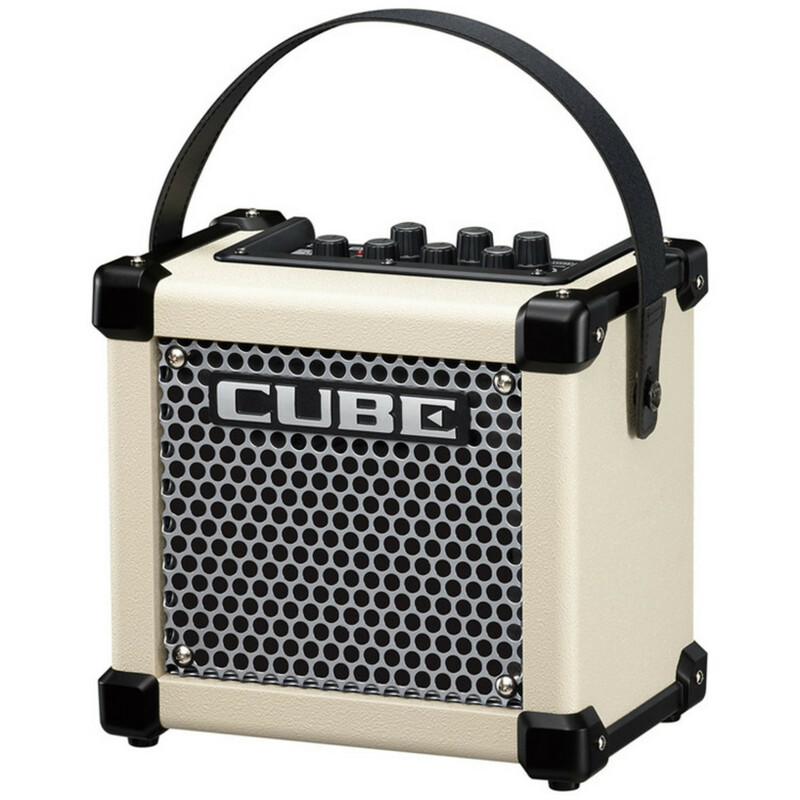 Roland's hugely popular MICRO CUBE gets an upgrade! 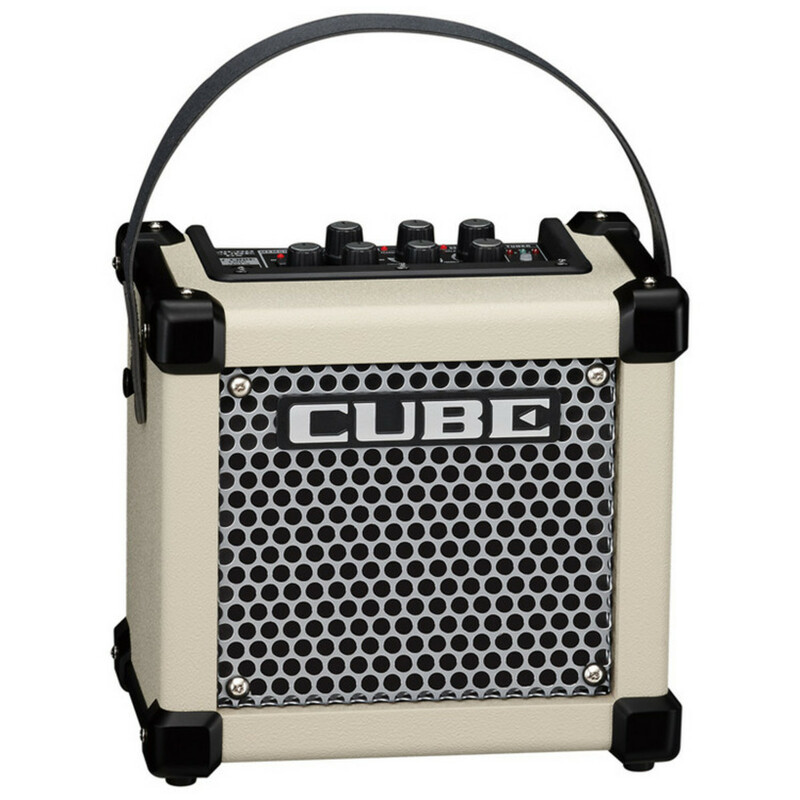 The new MICRO CUBE GX has a small size, big sound and tons of new features including more power, chromatic tuner, MEMORY function and an i-CUBE LINK for easy connectivity with your iOS devices. Play, Practice, Perform - Anywhere You Go! The MICRO CUBE GX is the latest incarnation of Roland's ultimate portable amp. 25 hours of playing time on six NiMH AA batteries means you can play anywhere you want - great for any outdoor events including parties, camping or busking. The increased power of the new GX version means you now have even more volume to work with and a built in chromatic tuner eliminates the need to carry any extra gear with you when you're on the go. Roland's COSM amps give the MICRO CUBE GX a host of versatile tones for you to choose from - everything from clean jazz, smooth blues and heavy rock. The new EXTREME amp model gives you an extra level for face-melting, high-gain metal. If you're more of a vocalist, the MIC setting lets you use the amp with a vocal mic. To add something extra to your sound Roland have added five EFX types including the new HEAVY OCTAVE which is perfect for adding an extra level of super-low power to any distortion. Add to this an independent DELAY/REVERB processor and a new spring reverb option for that sweet Summer surf and roots sound. The new MEMORY function makes the Roland MICRO CUBE GX even more versatile effectively turning it into a dual channel amp. 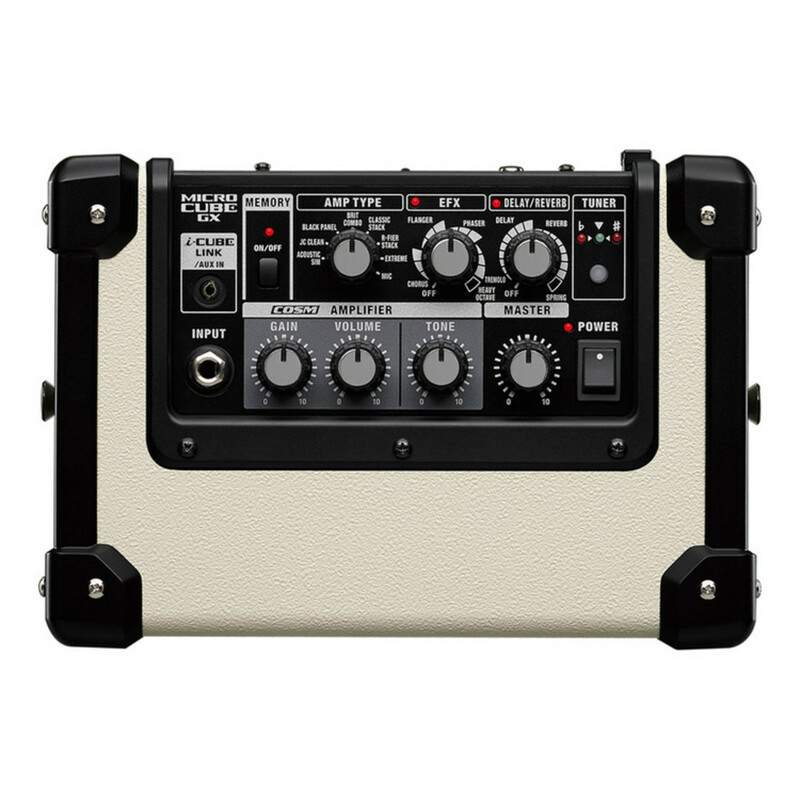 Simply dial up the sound you want then use the MEMORY button to save your amp tone and effects. You can now switch between this and the current settings with a quick button press quickly recalling your favourite sound for later use or meaning you can switch between a rhythm and lead tone in your next performance. If you like to use music apps Roland's innovative i-CUBE LINK interface is the best way to seamlessly incorporate your iPhone, iPad or iPod touch with your guitar amp. The included cable allows you to connect your iOS device quickly and easily through the audio jack. Use your favourite music apps to play along with tracks or send studio quality COSM guitar tones and effects straight into a recording app. 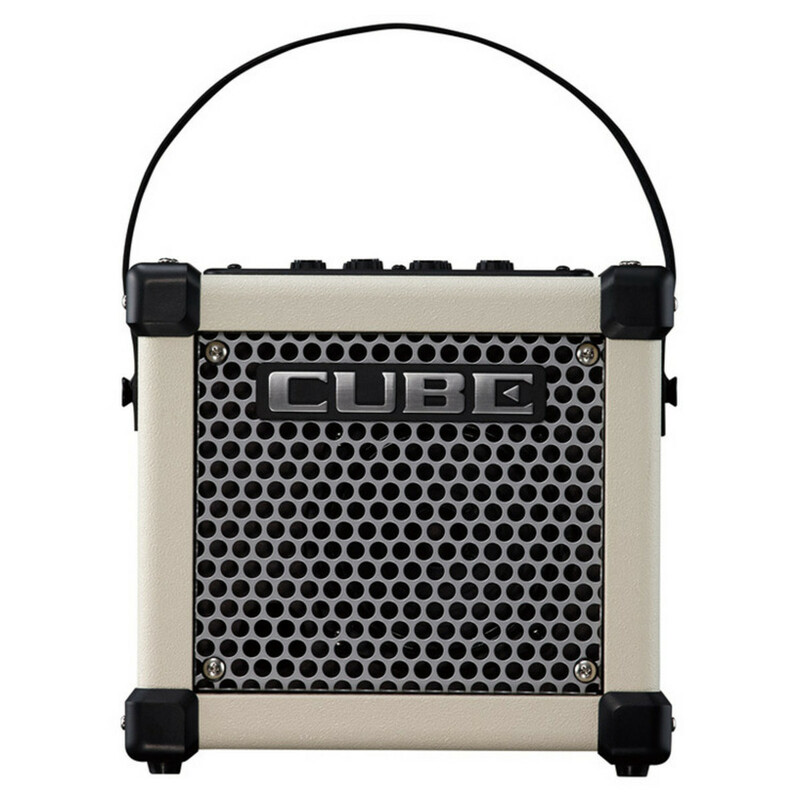 The i-CUBE LINK jack can also be used as a stereo input so if you fancy simply listening to some tunes or recordings you've made, you can play them straight through the MICRO CUBE GX. If you're looking for an app to get you started, Roland have provided CUBE JAM which is available from the App Store for free. This intuitive music app turns your iOS device into a fun music centre for hours of jamming, recording and practice. Use the app to play your favourite songs or minus-one tracks through the MICRO CUBE GX and you'll soon be able to play along with your favourite riffs note for note. The easy to use app can also be used to record and capture your jam sessions with a single touch. After recording you can experiment with the volume of your guitar and backing track and, once you're happy, export the mix to a 16-bit, 44.1 kHz WAV file to share or listen to later. Other great features in the CUBE JAM app include practice tools like independent speed and pitch adjustment and Centre Cancel which removes solos so you're free to play along in a way which suits you.